This release of Trader Feedback System adds a new Converter feature, adds Flood Control bypass and various minor bug fixes. Users will also be able to use a link to the Classifieds item, instead of using a topic link. Expanding on the 'top member' in previous versions, Trader Feedback System now shows the top 5 members according to their Trader Feedback. This block is also provided as a sidebar hook so that you can display it on your board index. 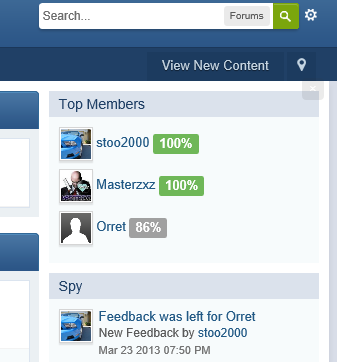 The new version contains less images than before, CSS badges are now used for the area reflecting the feedback rating. 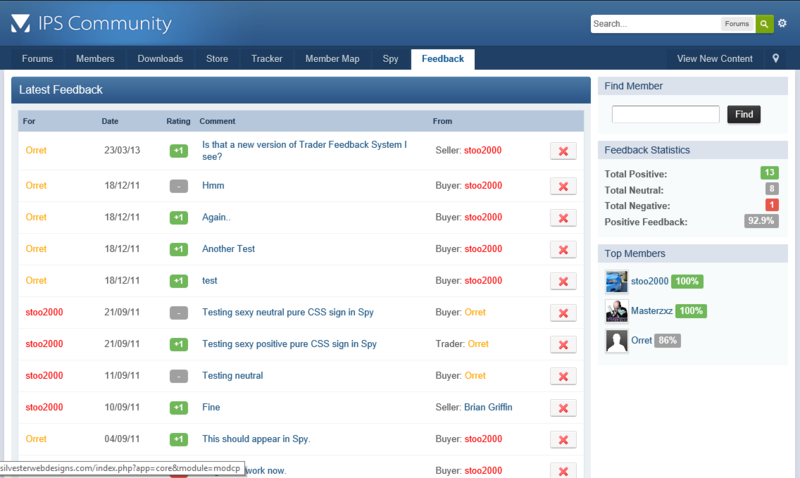 Trader Feedback 1.4 is currently available on the Legacy Download system (for customers prior to IPS Marketplace, IPS Marketplace and our own downloads system. If you find any bugs in this product, please report them to our bug tracker. 1.4.1 Has just been released with a small bugfix. How do I go about upgrading from 1.3?